Clevedon: the most boring seaside town in all England; filled with dusty, fusty little sepia-tinted shops, selling dull stuff like lacework, horse brasses and pink and blue vintage porcelain salt-and-pepper sets in the shape of Edwardian ladies. The Pier had collapsed, the Sea or what passed for it – the Severn Estuary – which the broken structure lingered above, was brown and it didn’t have proper sand, just pebbles. Legions of old people waddled about, huddling in cafes, in shops, staring out to sea. As for the wind, the wind blew cold. Always. At least that’s how the 10 year-old me tended to regard it when we visited from Bristol. Then and through my teens, even once the pier had been partially repaired, Weston Super Mare seemed far superior; louder, brighter, ballsy, blowsy Weston. Just eleven miles away, but with Donkey rides, crazy golf, flashing lights, arcade games, sand and girls. Same coast, different planet. I thought of Clevedon and Weston, conflating the worst aspects of the two towns together as I pictured the lyrics. I later added the deliciously desolate Saltburn by the Sea and Skinningrove, North Yorkshire into my song-inspired coastal landscape of liminal misery. This was after a trip walking around the North York Moors during the 1990 World Cup – so long ago that England – give or take Bryan Robson’s arm falling off – had a half decent football team. Today I appreciate Clevedon a deal more and even prefer it to Weston. 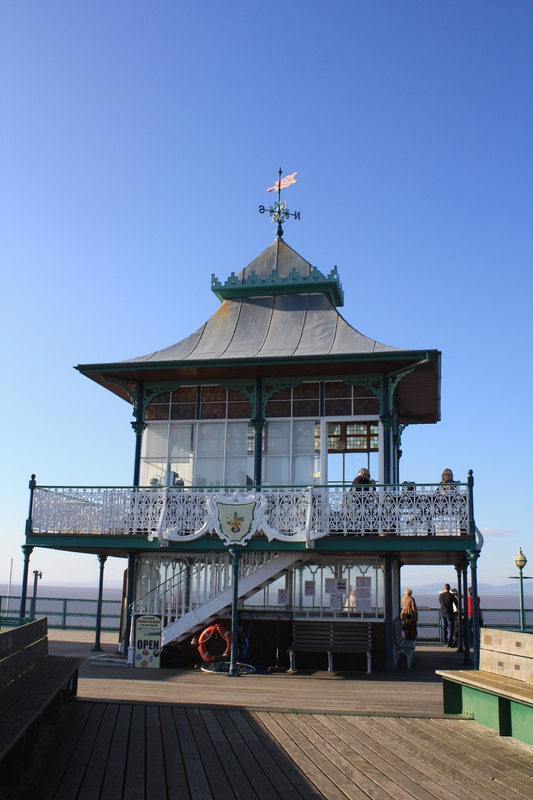 Now a Grade 1 listed building, the pier has been fully restored and its elegant structure graces the seafront once more; Sir John Betjeman felt that it was the ‘most beautiful’ in England. The pier is fronted by a stone gate-house, which looks as though someone has broken off a chunk of a castle and moved it here, beyond that the boardwalk stretches over the iron supports towards wooden sheltered seating areas at the Pier Head. There are no garish candy-floss stalls, tattoo parlours or ghost trains here – although there have been claims by anglers fishing off the Pier Head that it is haunted. According to the BBC, some even refer to the area as ‘The Ghost Coast’. 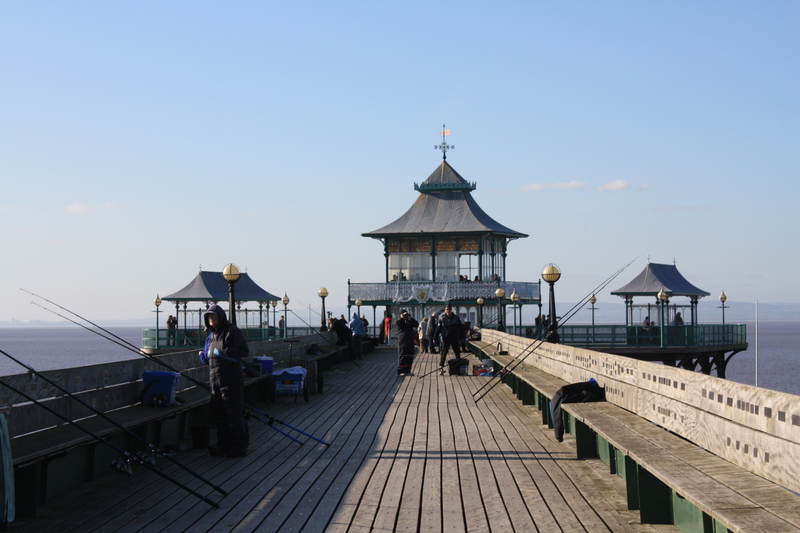 This year the Pier has had a spike in visitors since One Direction shot a video for their single You and I on it, sending herds of kids to the site, desperate to tread the same boards as their beloved Boy band. Perhaps some of the fans noticed the series of plaques running along the side of the pier’s deck, in between sating their latest bout of Styles-mania. These are dedicated to dead friends and loved ones – including one for my Grandpa. The plaque was erected by my Uncle Mike – now himself departed – and without fail makes me well up whenever I look at it. 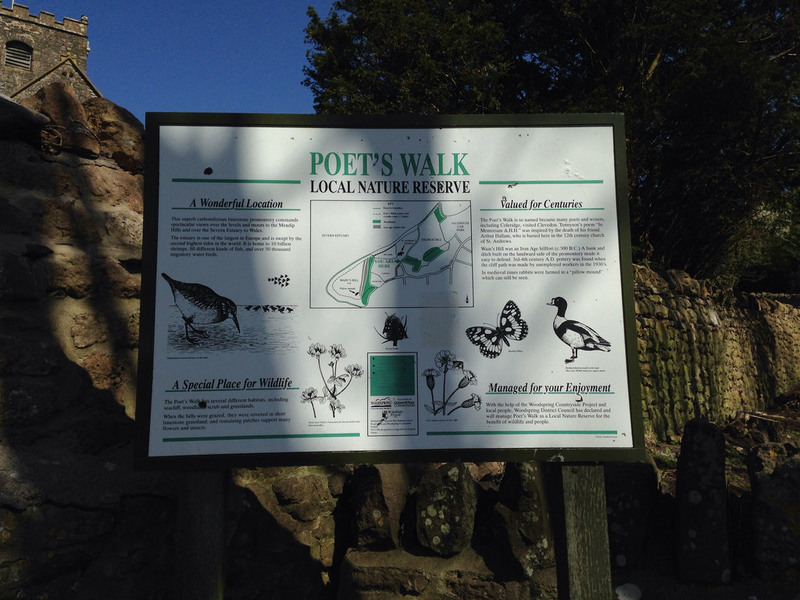 Another of my favourite places in Clevedon is The Poets Walk. 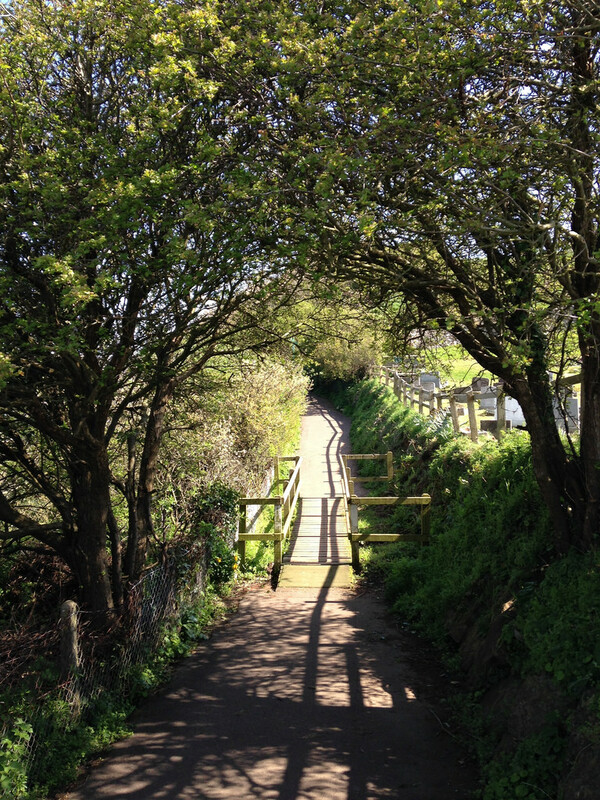 This is a short circular coastal path, little more than a mile in length. Measured by distance alone, it’s more of a stroll, but this small stretch of land is rich in multi-layered history. 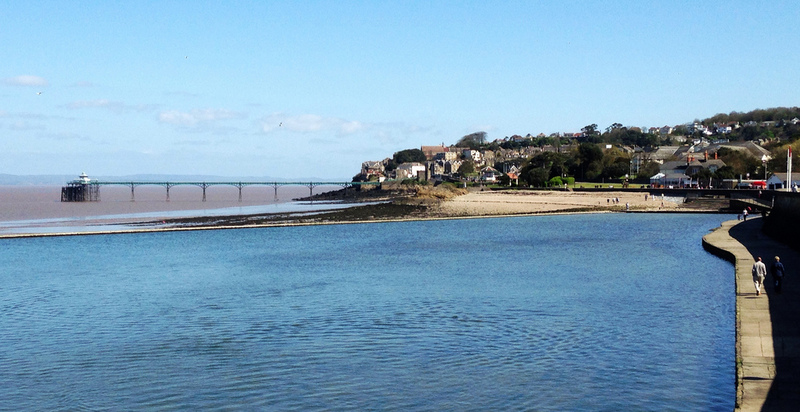 Along the way it embraces an Iron Age Hill Fort, an early medieval church, a World War II Pill Box, sea-cliffs, woods, a Victorian castellated look-out tower, ancient Rabbit-farming ‘Pillow mounds’, mud flats, beached boats, allotments and fine views across the Severn Estuary. The cliff path around the peninsular was constructed in the 1930s by unemployed workers, in a kind of apologetically small-scale English version of Roosevelt American New Deal projects, or The Great Ocean Road in Australia. Who’s That Trip Trapping across my bridge? In the novel the qualities that Stevens claims to admire in the English landscape reflect those of his own self; quiet, undemonstrative, even repressed and insular. These characteristics ultimately turn out to be the key to his lonely fate as he eventually realises the bigger, more honest and emotionally fulfilling life he might have made for himself had he not been so withdrawn and closed off to the world around him. However, taking the passage on a purely descriptive, rather than a metaphorical level, it nails what many find most enjoyable about places like Poets Walk. The satisfaction here is in indulging in its low-key beauty, quietly teasing out the secrets as you wind around the coast and head back inland. Coincidentally some scenes from the film version of The Remains of the Day were filmed in Clevedon, as were others from the film of his later novel, Never Let Me Go. 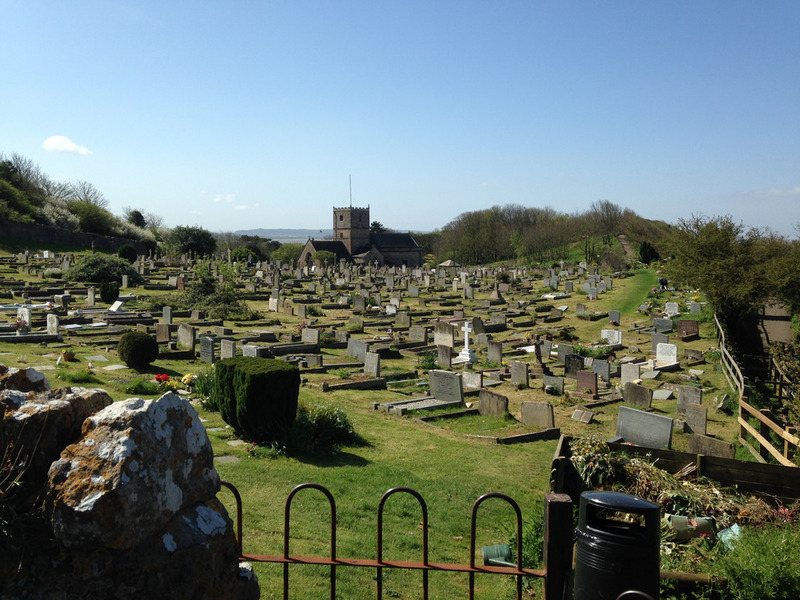 Parts of Clevedon were also used for locations in the hit TV drama Broadchurch. 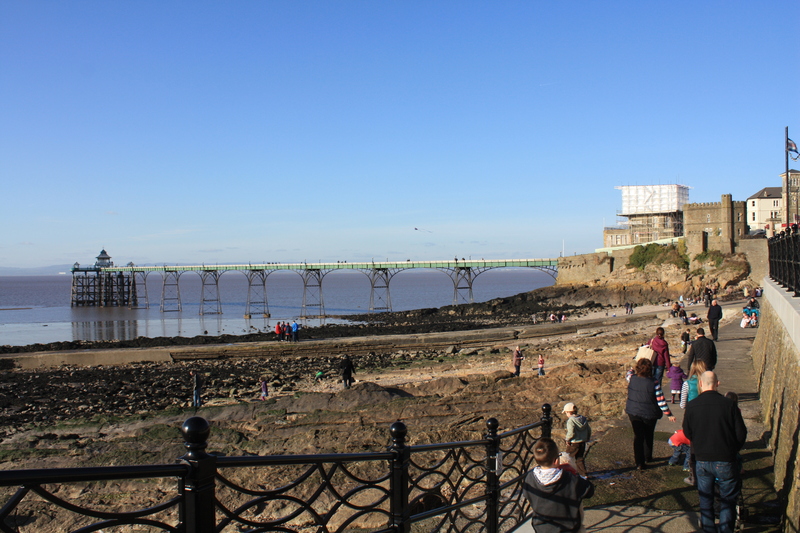 It would seem that the area has made a habit of stimulating artists – this is where Poets Walk gets its name – both Samuel Taylor Coleridge and Alfred Tennyson visited Clevedon and were inspired by time spent in the town. Coleridge, whilst staying in a cottage nearby composed the poem The Eolian Harp, one of his influential Conversation poems – whilst Tennyson’s great, close friend Arthur Hallam, the subject of the poet’s In Memoriam A.H.H. 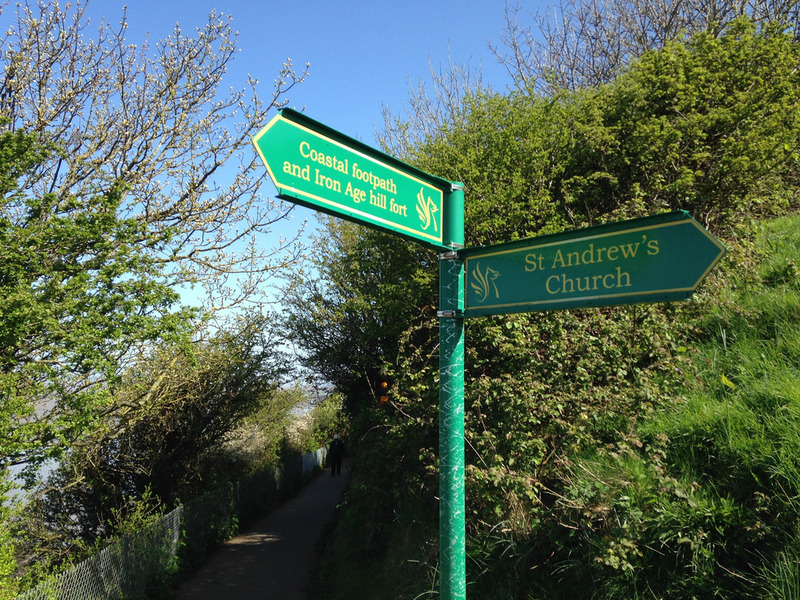 is buried in the church of St Andrew on the course of the walk. Hallam’s family were the Elton Baronets, whose family home was in nearby Clevedon Court. One end of the walk begins at Salthouse Fields car park. A field with an excellent playground, bouncy castle and miniature railway – all things I felt were missing when I was a child, or failed to notice. This is just behind the Marine Lake, an expansive stone swimming pool filled by the tide. From here you ascend a short flight of steps and the path reaches the cliff edge, from where you can see across the bay to the pier, town houses on the hill behind and on a clear day across to the Welsh coast. As the slope gently rises you come to a 19th century Gothic style look out tower – built by German émigré Conrad Finzel. 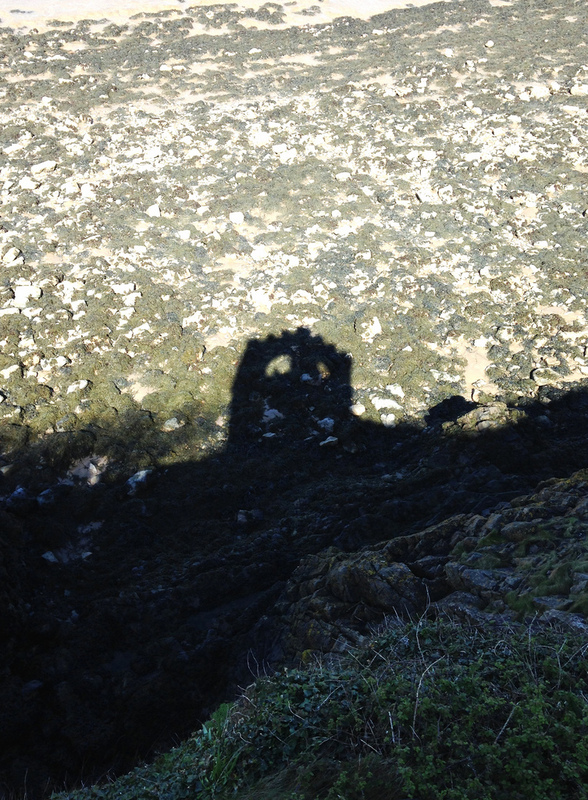 From certain angles – it looks a little like a giant stone skull. Back on the path you’ll soon get a glimpse over the graveyard towards the 12th century St Andrew’s Church – it’s worth looking inside once you get around to the front entrance. On the outside, on a corbel just below the eaves on the right hand side of the church as you enter from the gate there is a carving, which may be a sheela na gig figure. This is quite worn, but does appear to show a female character, holding open her legs in typical pose. For anyone interested in learning more about this and other similar carvings, there’s detailed online project that lists the location of many such figures in England and elsewhere in Europe. A contemporary take on the figure of Sheela Na Gig can be found in a song by local (ish – she’s from neighbouring county Dorset rather than Somerset but attended Yeovil College) singer/national treasure P.J. Harvey from her 1992 album Dry, highlighting the continuing relevance, updated and reshaped of such ancient symbolic figures. Also showing that in certain ways our civilisation hasn’t changed as much as we might like to believe. The next stretch of the walk curves around the site of Wains Hill, an Iron Age Hill fort, dating from around the 3rd Century BC. 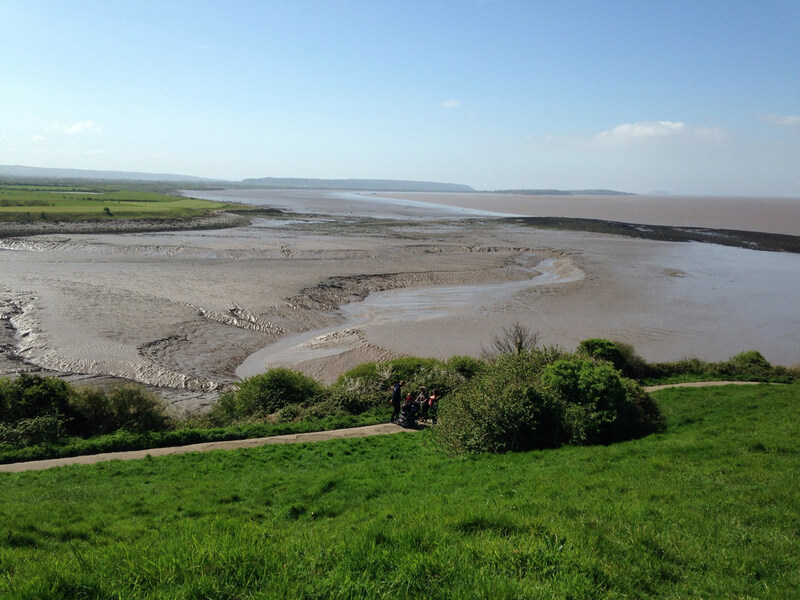 From here you can look over the Severn Estuary towards Steep Holm Flat Holm and North Devon. The shoreline here, where the Land Yeo and Blind Yeo (River Kenn) meet the sea attracts many different types of Wader and Duck. In the estuary mudflats you can also see the wrecks of one or two stricken boats, sticking out of the mud like the bones of some prehistoric Estuarine creature. 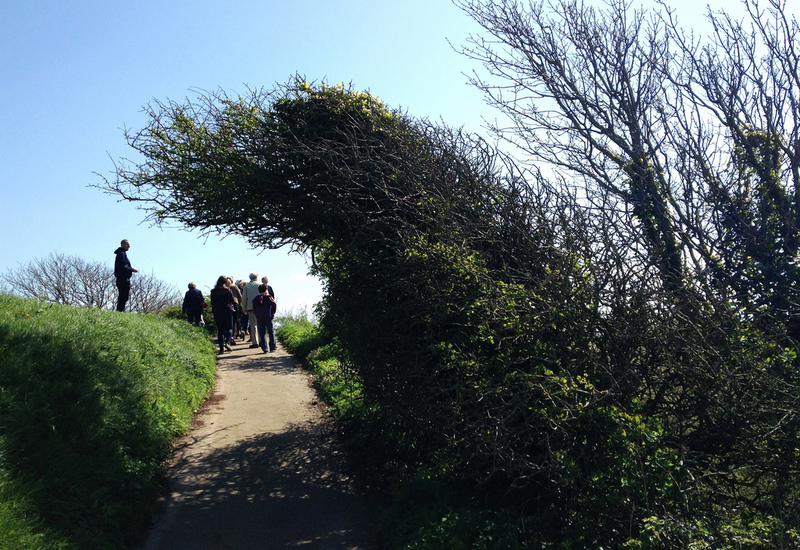 As the pathway winds back towards the shore, various trees and shrubs on the cliff edge lean in and over it, shaped by the prevailing winds and curving in towards the peninsular as if reaching for shelter from the sea. 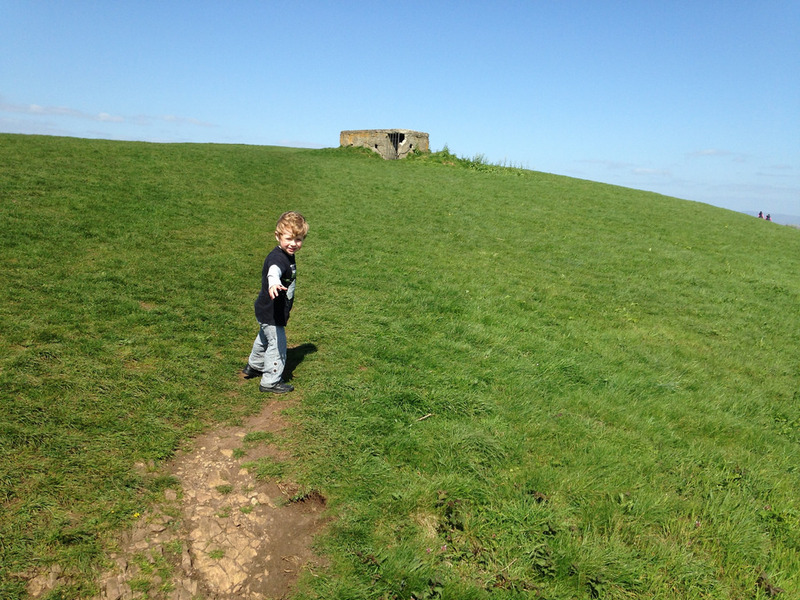 Inland on top of Wains Hill, in the middle of a grassy field, you’ll also find the remains of a Second World War gun emplacement. Then the last stretch the path goes through a wooded area and emerges near the front of the church. Nearby are some 17th century thatched houses, allotments and a pair of grounded boats. And that’s it – a little, big walk. If taken slowly, following the course of Poets Walk just might deliver a sense of what so stirred Coleridge and others as they visited the place before. From The Eolian Harp, S. T. Coleridge. Tennysson – In Memoriam A. H. H.
Great post very thought provoking. It’s one of the walks we managed to do even during the worst of the foot and mouth outbreak back around 2000 that meant most of the footpaths in the country were closed and one we go back to time and time again. 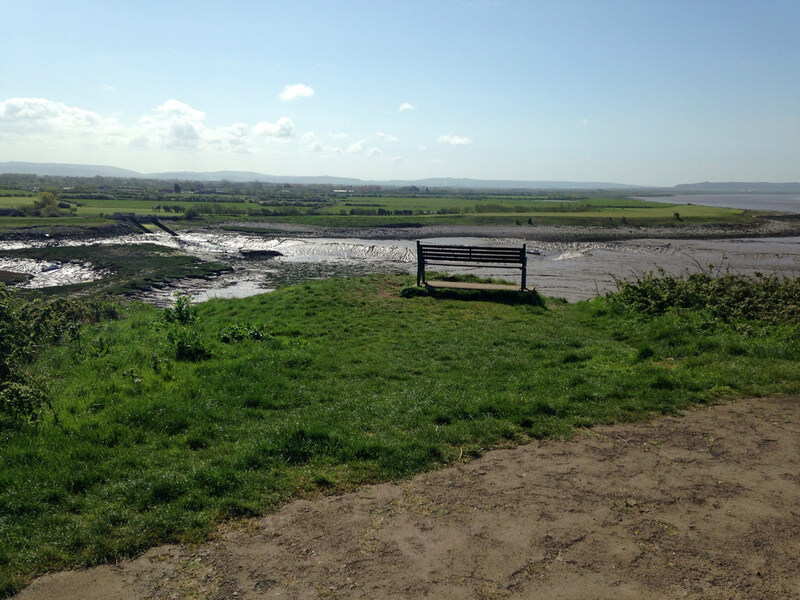 You can extend it a bit by continuing across the Yeo river and following the coast as far as a footpath sign about a mile to the south and then swinging back across the fields eastwards to the lanes that lead back to Clevedon. That coast stretch is a marvellous area of empty mud flats inhabited by curlews, whimbrels and the occasional kestrel. The only bugbear is that walkers are still denied the chance to walk the coast south towards Weston by what seems to be obstructive farmers and the slow progress being made in Parliament on legislating for the right to walk our coastline. And there’s another version of the walk where you can go up the steep path behind the shops in Hill Road (as used in Broadchurch) opposite the now closed Regent pub, via a winding ascent past the best art deco building in the region up to Dial Hill. Not sure if this is of any use to your readers but good walking and great views for free in the most unsexy of seaside towns. 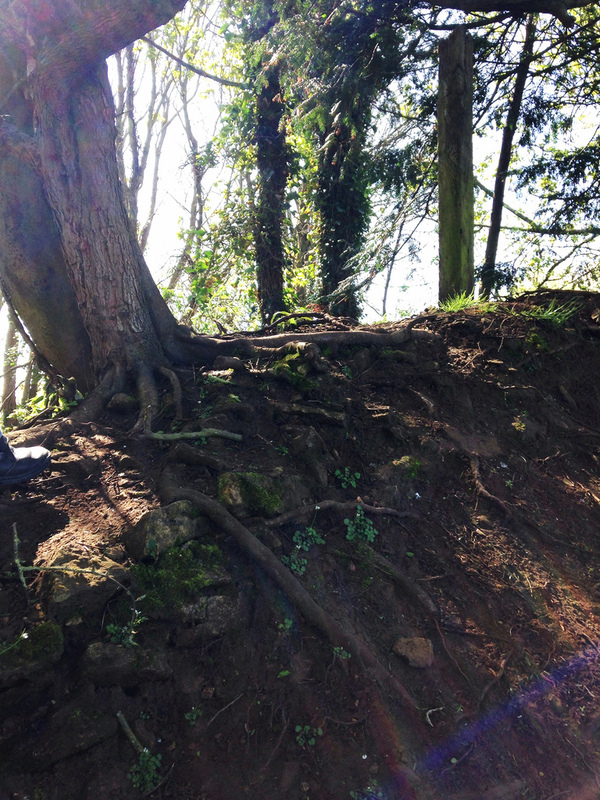 Enjoyed this post, having recently walked though Clevedon. Was not expecting much, to be honest, and was surprised by the charm of the place. Thanks. I read your post and enjoyed that too. That part of the coast isn’t as interesting as some other stretches but has it’s hidden charms. Even Severn Beach has fossils though looks pretty bleak and uninviting. Oh, what I wouldn’t give to be traveling along Poet’s Walk right now! The way the wooden bridge disappears into shadow – full of mystery, full of meaning – is that not the very definition of ‘evocative’? Glad you like the look of it. I love tree lined paths like this, that wooden bridge surely has a troll trip-trapping underneath.